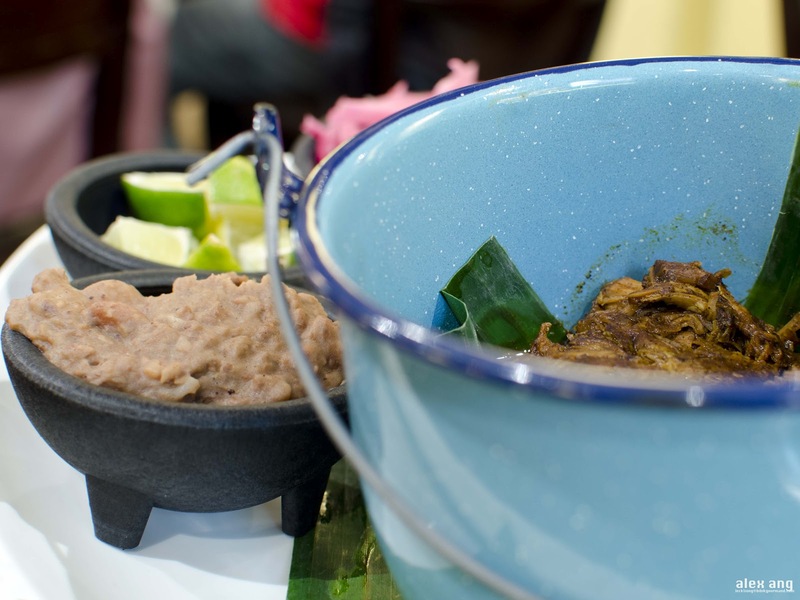 Senor Taco @ Chijmes is the flagship of the Senor Taco chain of Mexican restaurants – that has 3 outlets in the stable, with a fourth outpost set to debut at The Star Vista in the Buona Vista suburb. 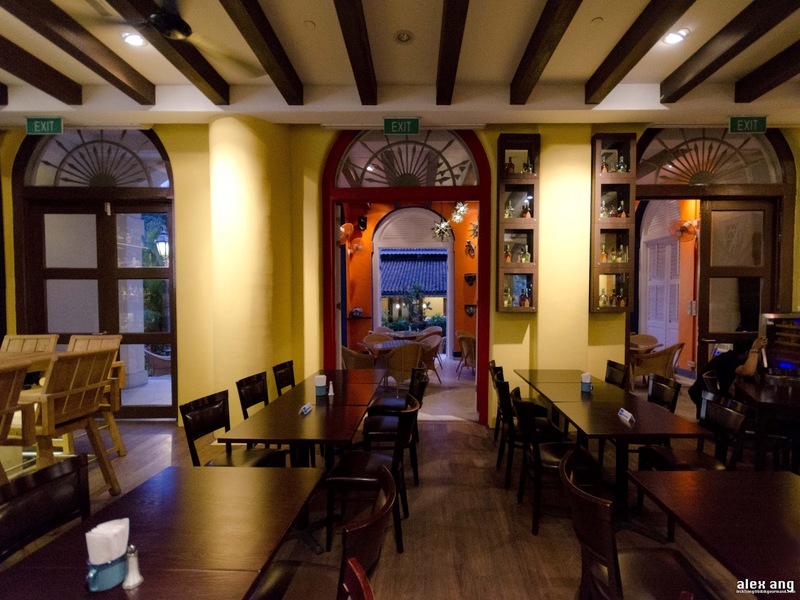 Like some of its peers at the iconic Chijmes, Senor Taco is a casual, open-concept restaurant with almost two-thirds of its 100-seat space set in an open courtyard on one side and an airy alfresco space on the other. 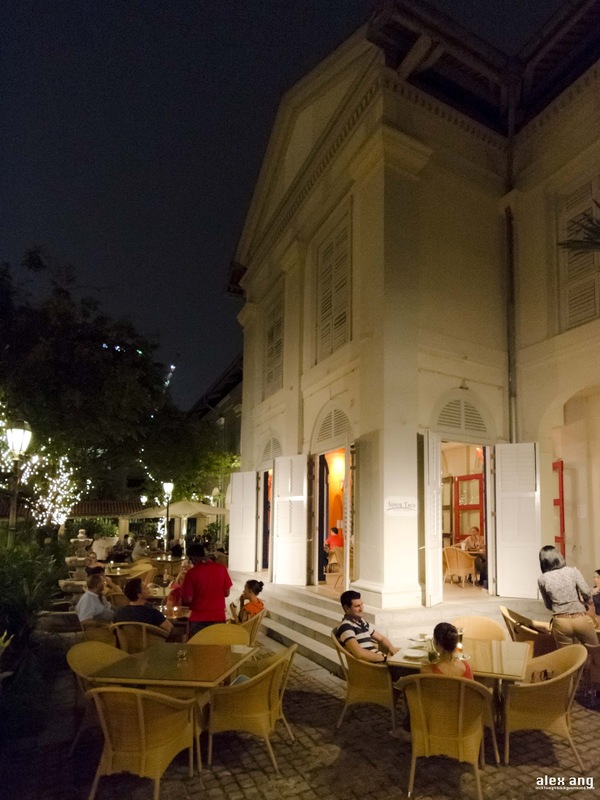 The main dining area features clunky wooden furnishings against a backdrop of glitzy bar while the outdoor area is decidedly more tranquil – think rattan chairs, wooden benches, quaint standing street lamps and rustling trees. 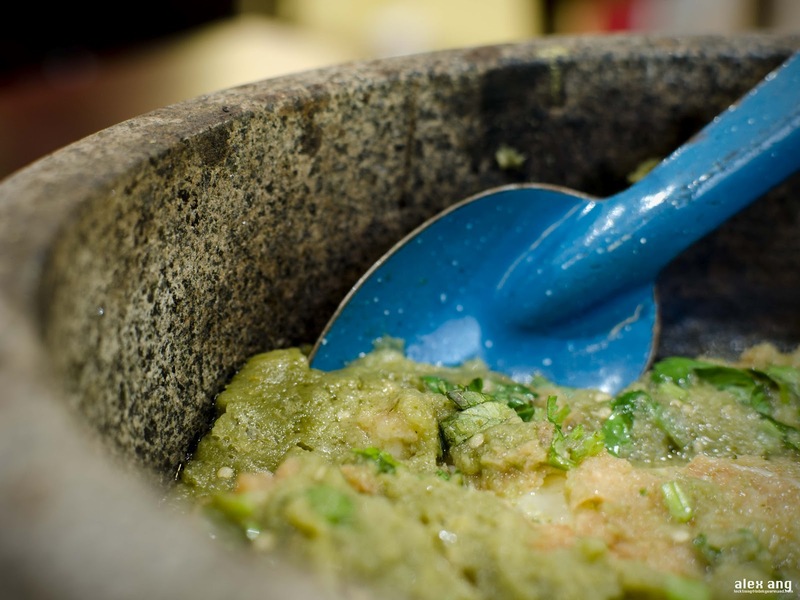 Senor Taco is not your usual taqueria (taco shop) and it certainly serves more than the formulaic burrito and enchiladas. 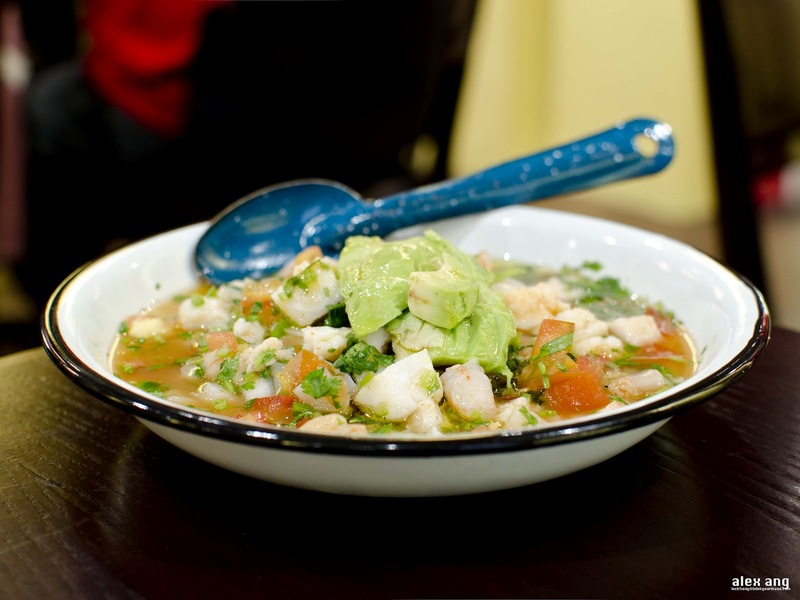 You can look forward to ceviche, a popular coastal dish in Mexico, served with either fish or shrimp (or both), steeped in a heavy marinade of lime, tomato, chopped onions, Serrano chili and crowned with buttery slices of avocado; volcan de queso, coriander-topped mound of mozzarella cheese served ‘bubbling’ in a mortar hotpot with green Mexican tomatillo paste alongside local factory-made tortillas; and sop de tortilla, a thick and hearty Mexican soup chock-a-block with tortilla strips and lashings of melted cheese. For mains, options are aplenty and the barbacoa de lengua, slow-cooked beef tongue with onions, cilantro, lime and tortilla, looked alluring on paper but the cochinita yucateca, adobo and achiote-marinated shredded pork served alongside vinegar-steeped onions, re-fried beans, lime and tortillas, came highly recommended and for good reasons – it was savoury and downright succulent, though a tad messy. The dinner was smooth-sailing until dessert time. There were only 2 desserts on the menu: ice cream tacos were not available during our visit and the milk pudding with caramel was not as velvety as we had wished. But with such an extensive savoury menu, who needs desserts? Perhaps a nightcap of tequila from the extensive menu of 70 labels is a fitting conclusion?